Five more trees lit up for Christmas in Cowdenbeath. This tree lighting was done under contract from Fife-based Arro. 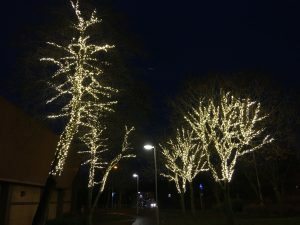 These lights line the path from the railway station towards the football stadium, round the back of the leisure centre. We think they look great! 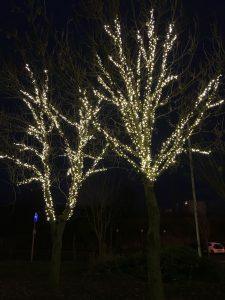 AV Arboriculture have worked with Arro on many successful tree lighting projects, from Musselburgh to Bridge of Allan to Prestwick. Tree lights really enhance the beauty of a tree’s architecture. They especially lift the spirits on an otherwise typically dreich winter’s night! Contact Arro directly if you have any trees you would like to be lit up. 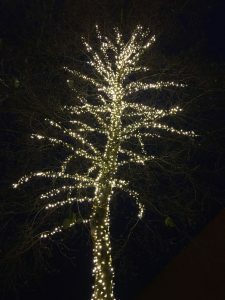 The lights can be 240V or low voltage and are long-lasting LEDS which remain in the tree for years.